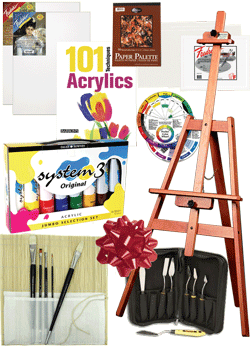 Rex Art has taken the guesswork out of putting together the perfect art gift set for the artists in your life. Our experts have compiled the essentials needed to create a masterpiece, whether for a budding amateur or an artistic genius. 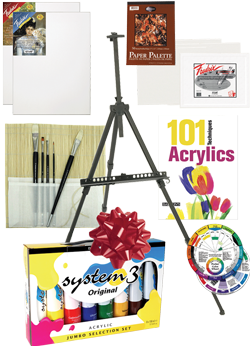 Our artist gift sets are comprised of finest materials, including wooden easels, tools and utensils, canvas, paints, color wheels, travel / storage cases, and detailed instructional booklets. 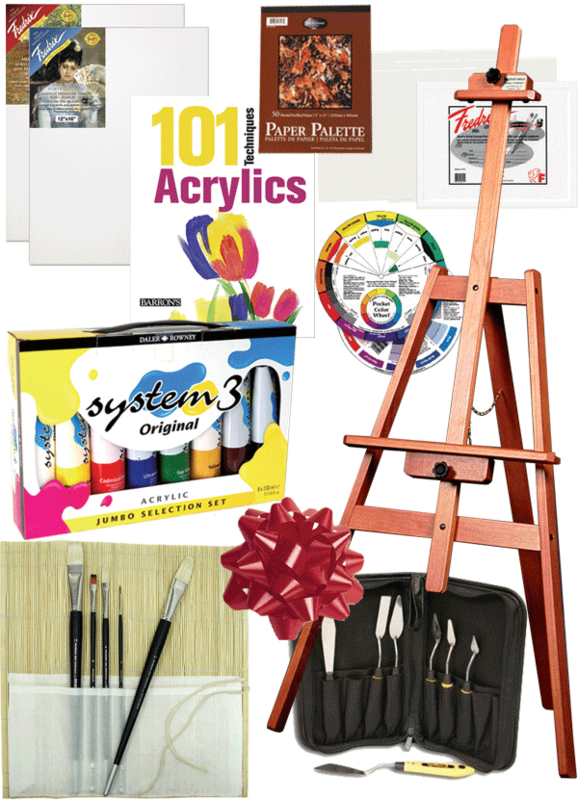 We have an art package for everything from oils, acrylics and water colors to drawing and airbrushing. 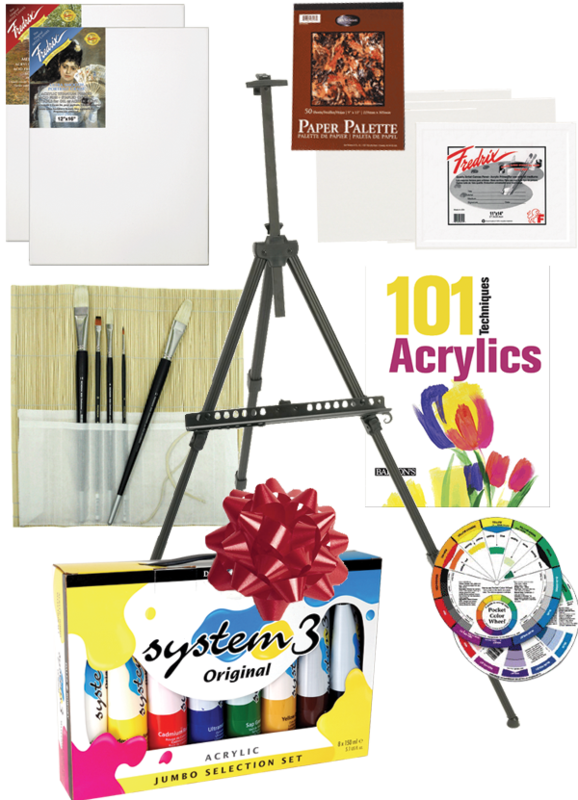 With over 60 years of experience in the art supply business, the professionals at Rex Art hand-select only the highest quality art supplies and artist gifts sets available. We value art, and we want everyone to enjoy the incredible experience of creating a masterpiece, so we offer every art gift set for an exceptional price. If you need assistance, do not hesitate to contact one of our friendly experts at 800-REX-ART2. All Rex Art Gift Packages over $100 include FREE SHIPPING*!